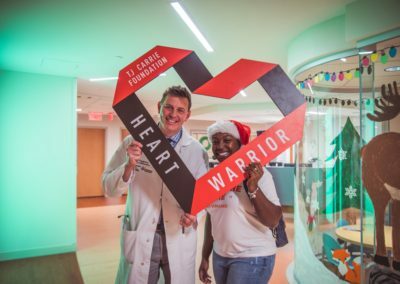 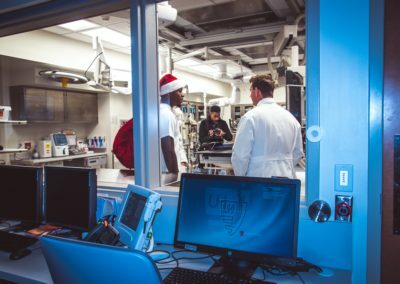 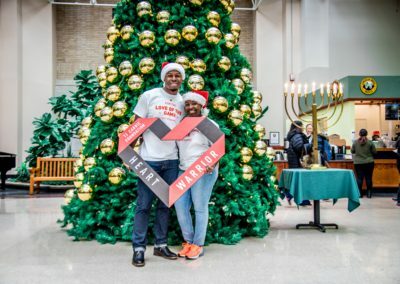 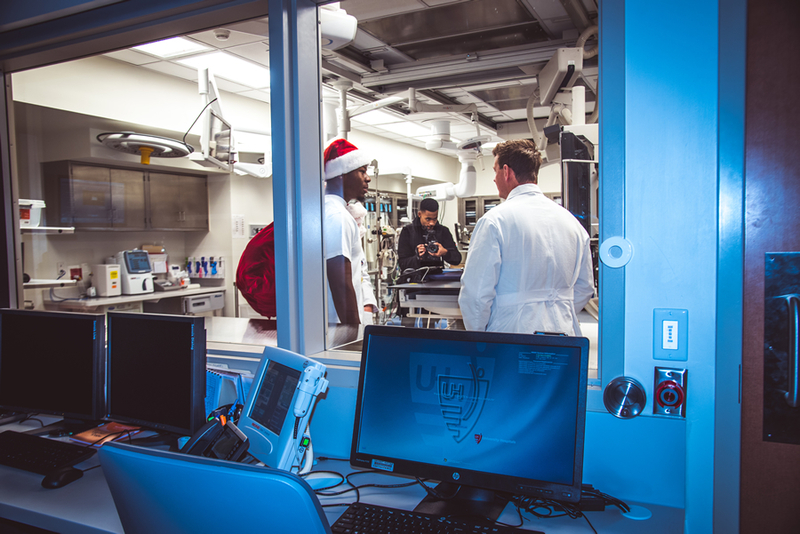 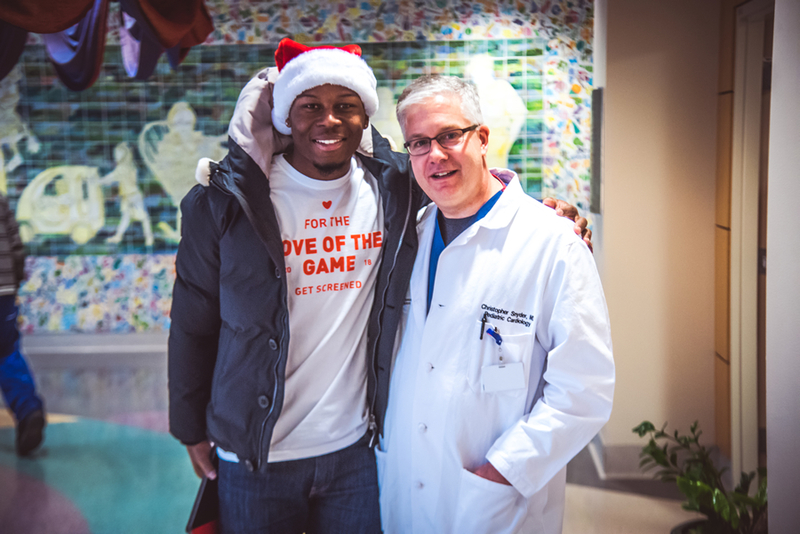 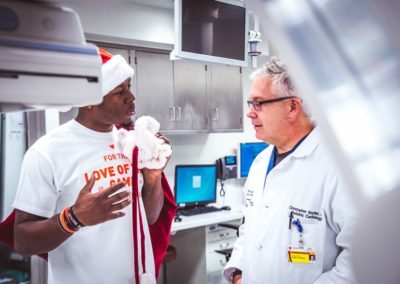 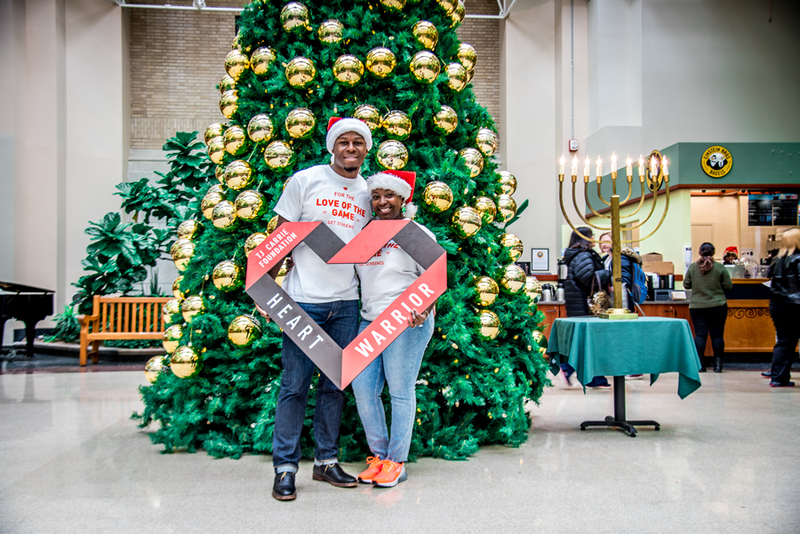 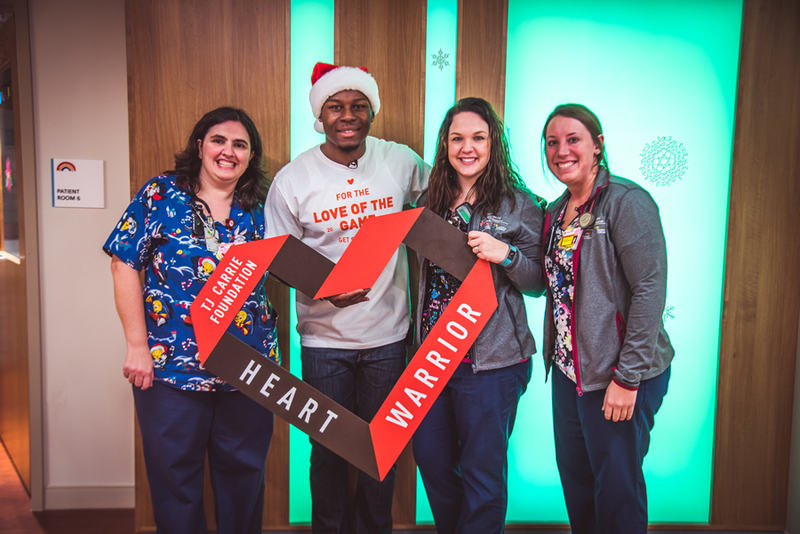 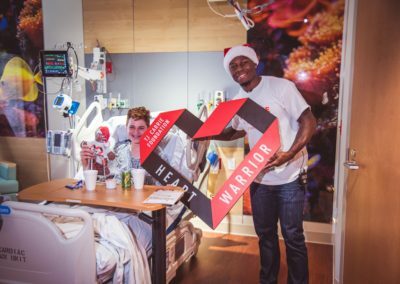 Cleveland Browns cornerback TJ Carrie celebrated the holiday season by visiting families in the new cardiac step – down unit at University Hospitals Rainbow Babies & Children’s Hospital and sharing a “Heart Warrior” message. 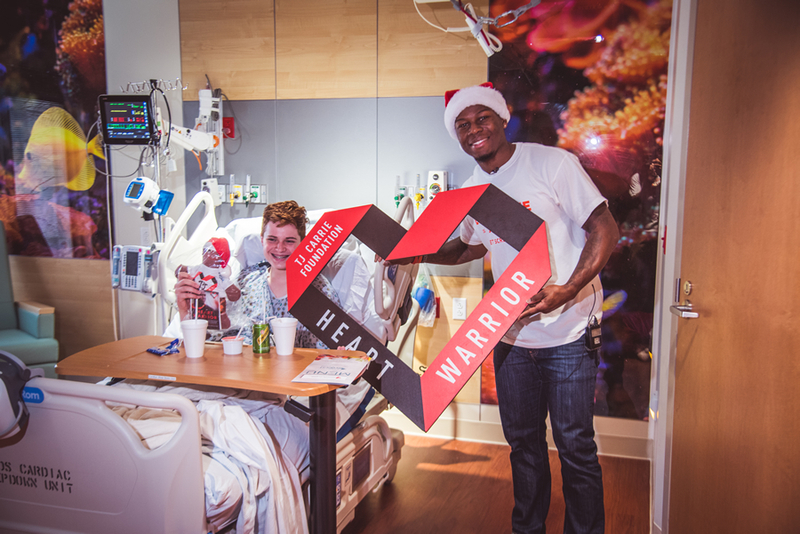 Carrie’s Santa bag was filled with the “TJ Carrie Heart Shadow Buddy”. 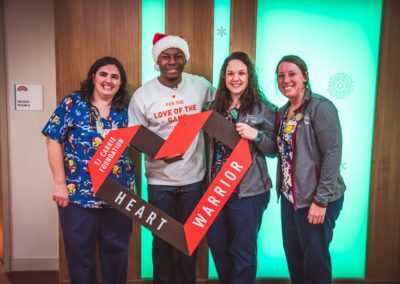 The buddy, which was designed to be a “friend like me”, has an incision down the chest and a red mended heart, complete with Browns shorts and a Carrie t-shirt. 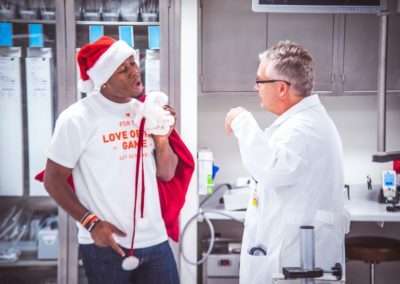 Carrie often shows his “zipper” scar when sharing his experiences with children who have similar scars. 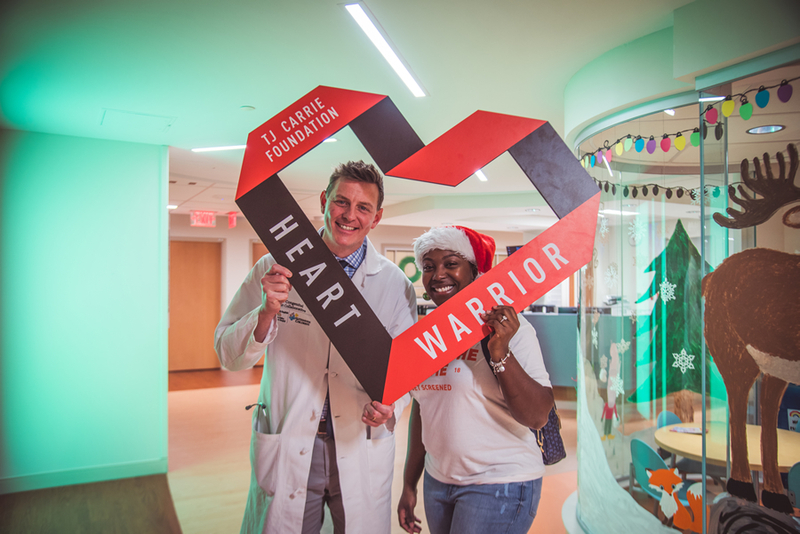 Carrie and his wife also toured the new state-of-the-art Hybrid OR and Cath lab suites. 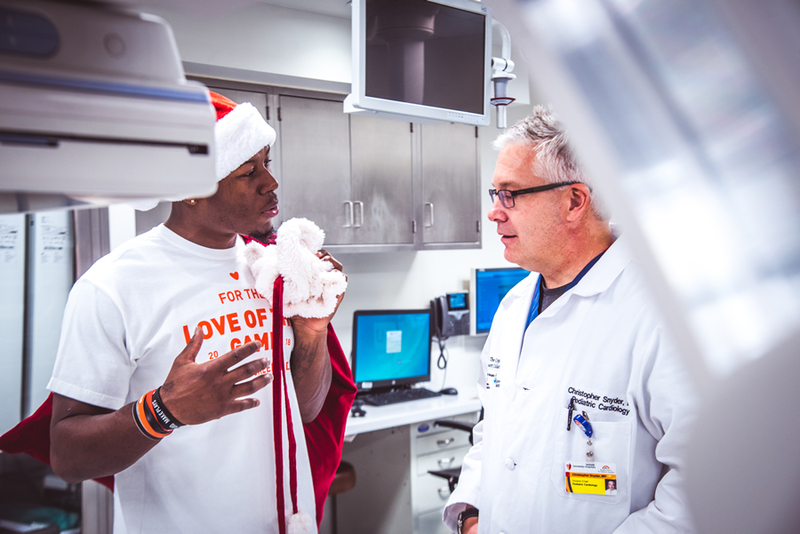 The chances of being able to achieve the dream of making it into the NFL were very slim after my surgery. 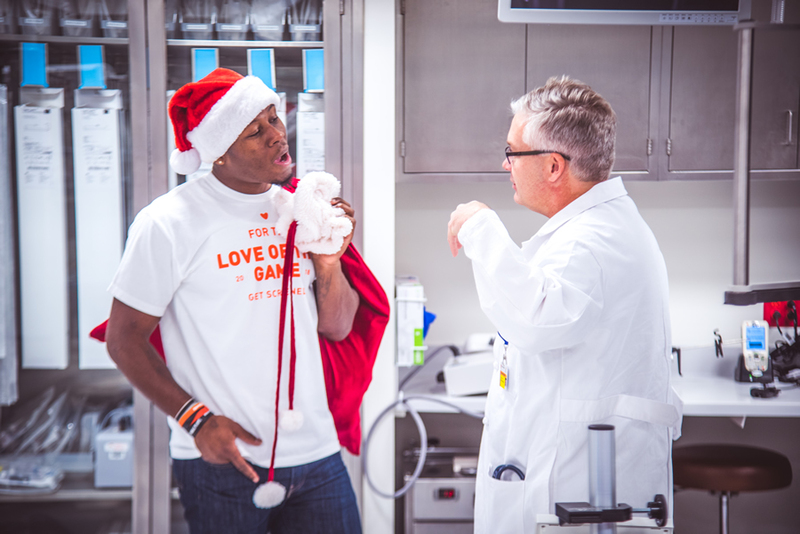 It really challenged how hard I was willing to work to still achieve that dream. 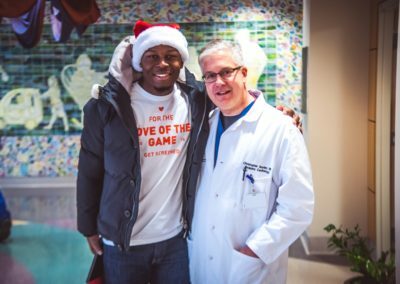 To have him share his stories of his surgery, his scar on his chest, and having that foundation means the world to the pediatric patients that we take care of and also our staff.